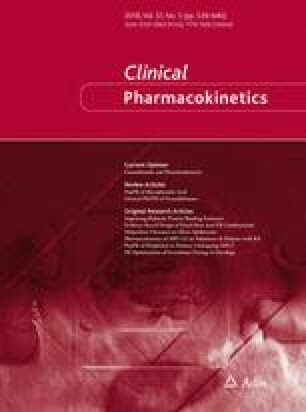 Exogenous Cannabinoid Efficacy: Merely a Pharmacokinetic Interaction? Endocannabinoid pharmacology is now relatively well understood with a number of endocannabinoids and endogenous cannabinoid neurotransmitters identified and the pharmacokinetics relatively well ascertained. Further, the cannabinoid receptors are now molecularly and pharmacologically characterised and the cell processes involved in endocannabinoid transcription, synthesis, post-translational modification and protein expression are reported. Endogenous cannabinoids have been shown to have key roles in immune and pain pathways and neuro-behavioural signalling including appetite regulation. Significant recent interest has thus been shown in understanding these pathways to guide the development of agents that inhibit the natural catabolism of endogenous cannabinoids to modify pain and appetite, and to synthesise antagonists for the treatment of disease such as obesity. This research is concurrent with the renewed clinical interest in exogenous cannabinoids and their use in disease. However, the complex pharmacology and physiological effects of exogenous cannabinoids, either as individual components or in combination, as extracts or via administration of the whole plant in humans, are less well known. Yet as with all other therapeutics, including those derived from plants, knowledge of the pharmacokinetics and dynamics of the complete plant, the individual chemical molecules and their synthetic versions, including formulations and excipients is a standard part of drug development. This article covers the key pharmacological knowledge required to guide further exploration of the toxicity and efficacy of different cannabinoids and their formulations in blinded placebo-controlled studies. A correction to this article is available online at https://doi.org/10.1007/s40262-018-0633-x. No funding was received in the preparation of this article. Jennifer H. Martin, Jennifer Schneider, Catherine J. Lucas and Peter Galettis have no conflicts of interest directly relevant to the content of this article. Drug Enforcement Administration Museum and Visitors Centre. Cannabis, coca and poppy: nature’s addictive plants. http://www.deamuseum.org/ccp/resources/index.html. Accessed 11 July 2017. European Medicines Agency. Public statement on Acomplia (rimonabant): withdrawal of the marketing authorisation in the European Union. EMEA 7 Westferry Circus, Canary Wharf, UK. 2009. http://www.ema.europa.eu/docs/en_GB/document_library/Public_statement/2009/11/WC500012189.pdf. Accessed 1 Sept 2017.
International Council for Harmonisation of Technical Requirements for Pharmaceuticals for Human Use (ICH). ICH Harmonised Tripartite Guideline. Nonclinical Evaluation for Anticancer Pharmaceuticals S9. 2009. http://www.ich.org/fileadmin/Public_Web_Site/ICH_Products/Guidelines/Safety/S9/Step4/S9_Step4_Guideline.pdf. Accessed 1 Sept 2017.
International Council for Harmonisation of Technical Requirements for Pharmaceuticals for Human Use (ICH). ICH Harmonised Guideline Integrated Addendum to ICH E6(R1): Guideline for Good Clinical Practice E6(R2). 2016. https://www.ich.org/fileadmin/Public_Web_Site/ICH_Products/Guidelines/Efficacy/E6/E6_R2__Addendum_Step2.pdf. Accessed 1 Sept 2017. National Academies of Sciences. The health effects of cannabis and cannabinoids: the current state of evidence and recommendations for research. National Academies Press, 2017. doi: 10.17226/24625. Temporary Specialist Scientific Committee. Report by the Temporary Specialist Scientific Committee (TSSC), “FAAH (fatty acid amide hydrolase),” on the causes of the accident during a phase 1 clinical trial in Rennes in January 2016. 2016. http://ansm.sante.fr/var/ansm_site/storage/original/application/744c7c6daf96b141bc9509e2f85c227e.pdf. Accessed July 2017. Therapeutic Goods Administration. Medicinal cannabis products: overview of regulation. 2017. http://www.tga.gov.au/medicinal-cannabis-products-overview-regulation. Accessed 10 July 2017.